Winter training is super hard, in my opinion, because you're battling yourself along with the elements. It's tough to motivate yourself into tackling hills and repeats and mile after mile when the air alone hurts your skin. Plus, there's a ton of laundry. I did make it back to the pool last week for drills and tempo work. Now's the time to work on the mechanics of swimming, because the very first Ironman swim workout is 3,000 yards. That's a lot of back and forth to go with poor form. I also revisited the arboretum for a long run this week. The plan called for 10 miles at a faster pace. I did what I could given the cold and the fact that it started raining in the last 1/3 of my run. But rain at 38 degrees feels more like tiny daggers than anything else, and it was mentally tough to run past my car twice when all I wanted to do was put on comfies and binge on Netflix originals (I finished Making a Murderer and The Fall, for the record). I'll be leaving my bike behind soon for a new adventure, but the goal for the next week is to get in a solid long run outdoors and a treadmill tempo run. I'll also be hitting the pool twice, and knocking out a turbo trainer bike ride. 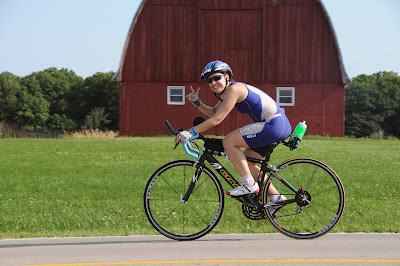 Yesterday was exactly nine months until Ironman Wisconsin. This is my year to do amazing things. HOW GOOD IS THE FALL??? They just started filming the 3rd (and final) season, and I cannot wait to find out how it ends.